Rumors of a Soulcalibur VI guest appearance by the White Wolf that gained some traction last week have been confirmed, as Bandai Namco released a character trailer for The Witcher’s Geralt of Rivia on Thursday. 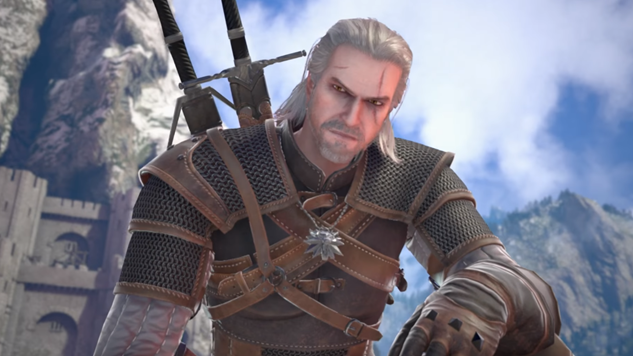 Speculation began when CD Projekt Red community lead Marcin Momot posted a tweet teasing an appearance by Geralt in another game in 2018, and fans immediately began tossing around the idea of the sword-wielder entering the Soulcalibur fray. It appears that the de facto CD Projekt Red mascot will have access to his full arsenal of blades and signs in the game, and Doug Cockle once again brings the Witcher to life. Soulcalibur VI is due out this year, though its release date has yet to be announced. Check out Geralt in action below, if you have a death wish.